“Terry’s extensive history in driving companies from startup to billions of dollars in revenue, along with his track record of building great companies, will enable Comprehend to continue providing customers with better ways to improve their clinical development processes,” said Rick Morrison. Redwood City, Calif., November 13, 2017—Comprehend Systems, Inc., the leader in Clinical Intelligence solutions, has named Terry Cunningham CEO. Cunningham will focus on scaling Comprehend in response to explosive customer demand for solutions that reduce time and risk in clinical trials. Cunningham will also drive expanded partner programs to help sponsors achieve faster, better clinical outcomes. Cunningham joins the executive team and Board of Directors, while Rick Morrison, Founder and current CEO, assumes the role of President and remains as Chairman of the Board of Directors. Morrison will continue to drive Comprehend’s long term strategy and ensure superior customer experience. 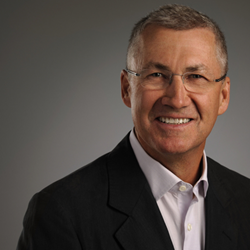 Cunningham joins Comprehend with a stellar career in software executive leadership. His early management successes include founding and leading big software companies such as Crystal Decisions, the world’s number one enterprise reporting platform. Deep expertise in analytics and a special talent for identifying profitable software trends led him to companies such as Guavus, a real-time, big data analytics software company. Under his guidance, multiple Cloud and enterprise organizations grew to billions in revenue and established ecosystems of hundreds of partnerships, including with Microsoft and SAP. Comprehend, the leader in Clinical Intelligence solutions, is focused on accelerating treatments to patients. Our suite of software applications provide clinical operations, data management and medical review teams with the critical insights and automation they need to improve the speed, safety and quality of their clinical trials. Designed to unify, monitor and analyze clinical data across disparate sources in real-time, Comprehend's Cloud software delivers solutions for CRO oversight, centralized monitoring, risk monitoring, data review and medical monitoring. Comprehend’s investors include Sequoia Capital, Lightspeed Venture Partners and Eminence Capital. Learn more at http://www.comprehend.com.